Bahrain Tourism and Exhibitions Authority (BTEA) announced the launch of the “Festival City” on Friday 18th of January, 2019. 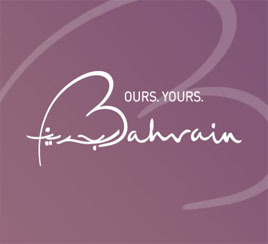 The Festival City is considered the main event of the fifth edition of Shop Bahrain, the largest event for family entertainment in the Kingdom. This edition of Shop Bahrain is organized by the Bahrain Tourism and Exhibitions Authority (BTEA) in cooperation with a number of strategic partners including Tamkeen, VIVA Bahrain and Gulf Air the National Carrier, as well as A.A. BinHindi Group. The Platinum Partners this year include Bin Hindi Informatics and Lulu Group. The Festival City will run for two weeks until the 2nd of February and includes a number of fun-filled family entertainment, a wide range of exciting activities, live performances, carnival games, outdoor market and outdoor cinema. It will also feature a daily lineup of live local bands for visitors to enjoy. 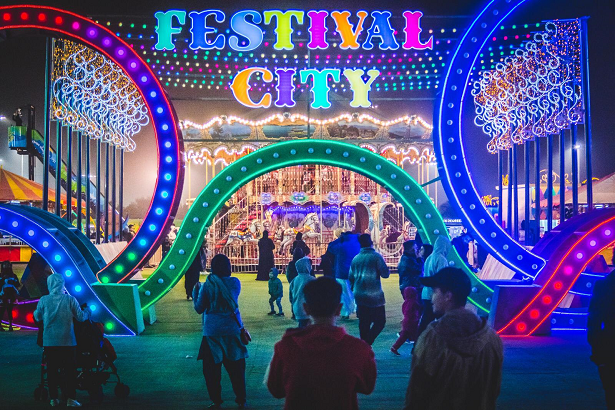 Festival City which is held for the third consecutive year, has attracted over 70,000 visitors last year and coincides with the school vacations in Bahrain, KSA and Kuwait. The event will include many activities catering to the entire family and is expected to attract even more visitors this year. “The Festival City covers over 22,000sqm with an outdoor market that features over 30 food vendors and 10 Bahrain based enterprises, that will change weekly,” said ReemTawfiqi, Head of Tourism Relations. The Head of Tourism Relations at BTEA, Reem Tawfiqi also added that the Festival City stage this year will host ongoing performances and concerts by Bahraini talents such as Mo Zowayed, Bahrain Talking Drums and Banah to name a few. Additionally, there will be three shows of “The Smurfs Live on Stage” on the weekend from 24th and until 26th of January. Entrance to Festival City is BD 2 and includes 4 games, children below 4 years enter free of charge. The Entrance tickets allow visitors to enjoy an amazing line up of shows taking place at the main stage area and around the Festival City, it also qualifies visitors to entre Shop Bahrain Loyalty System for a chance to win valuable draw prizes. The fifth edition will feature 11 cars and more than 73,000 prizes including, electronics from A.A. Bin Hindi Group, 5,000 discounted airline tickets from Gulf Air, thousands of instant prizes from VIVA and the Festival's prize partners including Gravity, Adhari, Awal Gas, Hawar Beach Hotel, Kitchen for Life Company, the Ice Cream Shop, Optica and Rahim Holdings.